Mainpower Rangiora took out the line mechanic team award at last night’s Connexis Annual Connection Excellence Awards in Christchurch with Joe Mills, Meridian Energy Twizel winning overall trainee of the year. 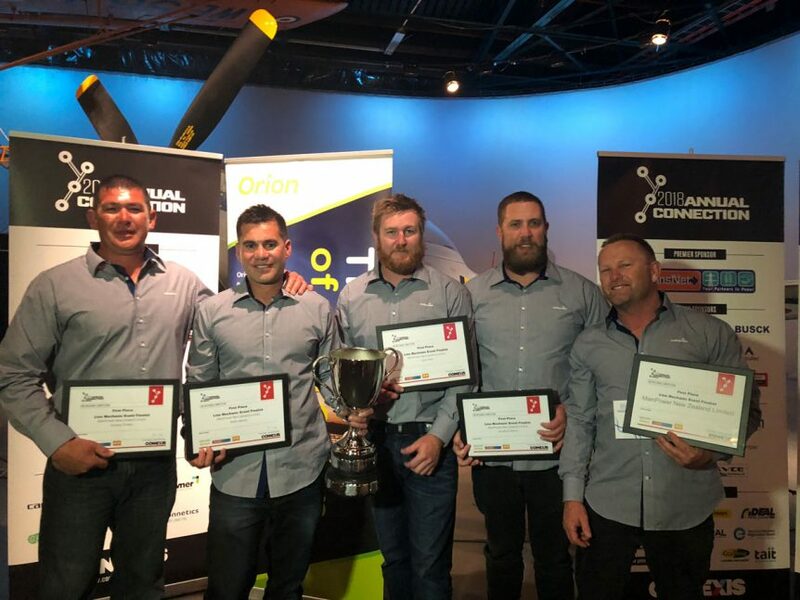 They were among New Zealand’s rising stars and top trainers in the energy industry who were recognised at the awards, which followed three days of intense competition by linesmen and cable jointers from around the country in a series of events held in a field adjacent to the Air Force Museum in Wigram. Annual Connection is also a driver to attract more people to the electricity supply industry, which is short of skilled workers nationwide. It’s predicted that about 9,000 more staff will be required over the next five years. This year nine teams competed at Annual Connection 2018 in the line mechanic competitions, with events including a pole top rescue, team building and first aid competitions. Ten individuals competed in the cable jointer competitions. Annual Connection is organised by Infrastructure Industry Training Organisation (ITO) Connexis. Group Manager Customer Engagement Kaarin Gaukrodger says, “The competition days were mentally and physically challenging testing team work, communication, technical skills and knowledge along with health and safety practices from power companies around the country.